The first day of Decibel Festival had a very nice start. The day rolled on slowly, kicking off with an Opening Gala at a Chihuly Garden and Glass, a very classy ceremony hosted in the museum’s Glasshouse, complete with hors d’oeuvres, wine, and neo-classical music. As the crowd began to slowly trickle in, I grabbed my drink and listened to Serena Tideman quietly sing over her cello. Her music was really beautiful and reminded me a lot of my favorite pieces by Hildur Guðnadóttir, full of those brooding, moaning, and cavernous sighs. If you’re a fan of solo cello pieces and have never heard of Tideman’s music before, I urge you to check out her album, Kalakala: Songs From A Parallel Universe, which you can find on her Serendipity Musik bandcamp page. As a side note, if I knew how beautiful the actual museum would be, I would have come here for a few hours prior, to fully appreciate the collection of strikingly dazzling installations, by american glass sculptor, Dale Chihuly. I couldn’t stay for the headlining performance by Mileece, “a sonic artist whose interactive ‘ecoscapes’ are generated from the electromagnetic emissions of plants and by handmade, sensor-based musical instruments,” but I hope that you’d forgive me, because I was racing in a cab on my way to a dinner with Erased Tapes, Nils Frahm, and Peter Broderick. Over the course of delicious Italian dishes, and after Nils showed me his eclectic collection of earlier acquired vinyl, we talked about the resurgence of cassettes, the difficulties of running a record shop, and the overall landscape of the music business. It was a meeting that I will treasure for a lifetime (an underrated statement that I will never retract). By 10pm I was finally ready for a party, and so I ran over to Neumos, where Adult. was about to go on. The Detroit based band played and electroclash synth-pop set full of retro leads, drum machines, and Nicola Kuperus‘ vocals, featuring tracks from their 2013 album, The Way Things Fall, which got picked up by Ghostly International. 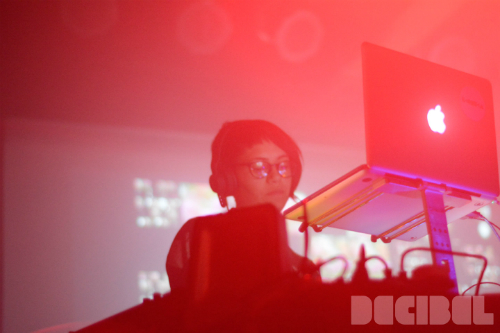 Meanwhile, at the Crocodile, Ikonika was dazzling the crowd with a set which was heavy on slurry vocal snippets and an increasing reliance on the tropes of breaks and jungle. Ikonika’s sound grew into another of dubstep’s iteration of its early influences, the genre seemingly flowing back into the spring from which it came. It was her VIP mix of Rihanna that shaped a path leading away from two-step and garage as the genre’s course. Check out Ikonika’s 2013 release on Hyperdub, titled Aerotropolis, to get a taste. 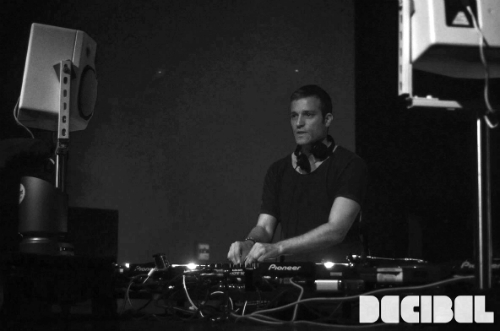 An hour later I decided to walk over to Q, where Ben Klock was getting ready for his four-hour DJ set. Just as expected, from the very first track, Klock turned a glowing Seattle nightclub into a dank and dense atmosphere of a Berghain‘s “capital of techno“. The volume was raised more than a few notches, and although the sound system felt a little slow to respond, the suffocating bass created a hypnotic atmosphere of tweaking sounds around the perimeter of my body, and I quickly lost myself inside this warehouse-heavy mass. I highly recommend this experience live, or you can find one of Klock’s mixes for Resident Advisor, Ostgut Ton, or Fabric (London) and crank it up. After about an hour of dizzying vibrations, I had to massage my buzzing jaw, and jump into a cab to catch the end of Hyperdub showcase at The Crocodile. I made it just in time for Kode9‘s opening set, which relative to the massive techno grind was somehow light and definitely entertaining. Steve Goodman‘s restless re-contextualization of a multitude of genres have produced some of the most mercurial hybrids to be heard in all of UK bass music. The founder of the influential label, which introduced the world to Burial, dropped everything from old-skool garage to grime to ragga, hip-hop and r&b. Mixed with a thumping four-to-the-floor kick, which would occasionally break into a wobbling sub-bass or inevitable Amen break, the variety of dazzling cuts included everything from tracks by Ludacris to unreleased footwork and dubstep. Goodman crafted a mangled bass monstrosity, issuing from some parallel reality where commercial rap dared to be this ‪outré‬. I really enjoyed his set, mostly because it was very fresh, unpredictable and super intelligent. The selection was genre-fluid, yet thickly coherent: a wild tool-kit of technique and style. By 2am I was spent, and decided to end the night on a good note, keeping in mind that I can’t possibly catch every performance, and that there were still four more days of some wonderful shows. Still to come… Day two of five! In addition to the usual in-depth coverage by HC, this year’s write-up includes words by Jefferson Petrey, who was kind enough to lend us his ears and pen for the showcases we just couldn’t make.